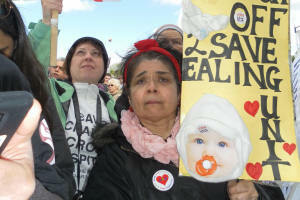 Residents, politicians and health workers turned out in Southall, Acton and Ealing on Saturday (27th April) in a show of strength against proposals to radically change local hospital services. 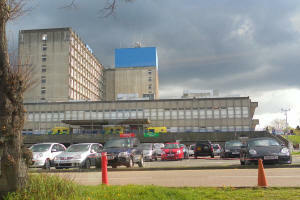 Health bosses plan to shut A & E services at Ealing, Central Middlesex, Charing Cross and Hammersmith hospitals,and cut other services including the maternity unit at Ealing Hospital. 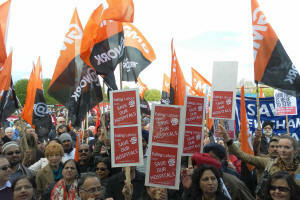 The decision was made by NHS North West London - but many on the march blame the government. 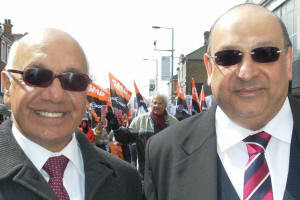 Southall resident, Shashee Sharma, has suffered two strokes and now needs regular check-ups. She says its vital to have a local hospital: “When someone gets sick – Muslim, Hindu, Sikh or anyone – they go to Ealing because they don’t know what’s wrong.'' She is fearful what will happen if the services are removed. Retired London Transport bus conductor, Ram Lal Dub Aryan, was at the demo on behalf of his wife, who was working her shift at Ealing Hospital, he's angry about the propsals insisting “there is money…the closures are just an excuse”. 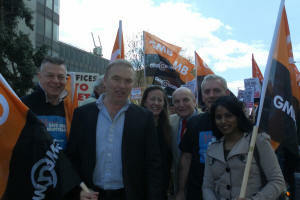 The rally was supported by Labour, Lib Dem and Conservative politicians. “The huge numbers of people who joined this march are a testimony to the upset and anger in Ealing over the Government’s planned closure of the A&E services at Ealing Hospital. John McDonald, MP for Hayes and Harlington, believes what will happen in Ealing will have a knock-on effect at hospitals in other boroughs: “Ealing A&E being closed means that Hillingdon A&E will be swamped, and won’t be able to cope with additional numbers. Our services can’t cope at the moment; we’re doing a good job, but struggling under the demand. “What I'm really worried about is decisions like this will cost people's lives. There will be people in Ealing and Hillingdon that simply will not get access to medical services. Up on the stage, speakers included GLA member Dr Onkar Sahota and MPs Stephen Pound, Andy Slaughter, John McDonnell and Conservative MP for Ealing Central and Acton, Angie Bray. She believes the rally was an important step in the campaign : '' "The strength of the local hospital campaign has won us a review of this reckless decision. We now need to continue the fight to ensure those conducting the review recognise the strength of feeling across Ealing and Acton that to lose the four closest A&Es that serve the community would be absolutely devastating." "The Liberal Democrats support the Council in taking a Judicial Review as we need to give us the best chance over persuading the Secretary of State that our hospitals should not be downgrades. With the rising birth rate we need better heath services not a downgrade which will cause many problems to many of the residents in Ealing, Chiswick and Acton." The next stage in the campaign is a London-wide protest scheduled on Saturday 18th May. 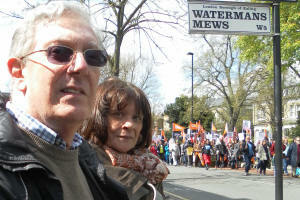 Participants will be meeting at 12 noon at Jubilee Gardens, Waterloo, to march to the Department of Health.